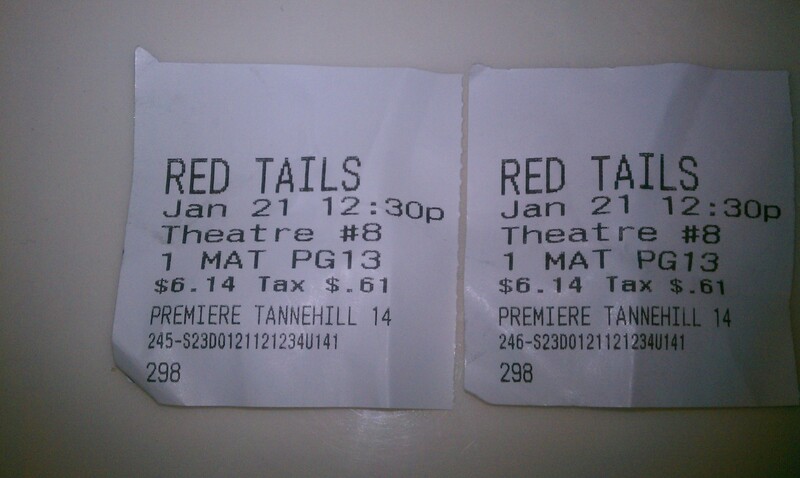 Weekend Recap – Red Tails! We Fight! We Fight! We Fight! Dressed in our Tuskegee University gear, we went to check out the much anticipated movie, Redtails, on Saturday afternoon and I was very pleased that it was a packed house! I enjoyed the movie and hope if you haven’t checked it out, I hope you will! * That was my weekend, it was all I did outside of the house. I did indulge in the Girlfriends marathon on Centric from Saturday until this morning! Good times I tell you!